Are you a new options trader who needs a deeper understanding of options strategies and approaches so you can identify and manage high probability options trade each month? Do you consider yourself an experienced options trader who is competent but now needs a mentor to help hone and improve your trading skills? In today’s world of information overload and constantly changing markets, the journey can be difficult and confusing to make on your own. Having the right education and mentoring can make the difference between being a solid options trader and ascending to the level of elite performance that is at the center of SMBU's culture. Each month through interactive Webinars, our exclusive online chat room, weekly updated articles, and the options trading education library, members of the SMB Options Tribe are engaged in a process of continuous improvement. 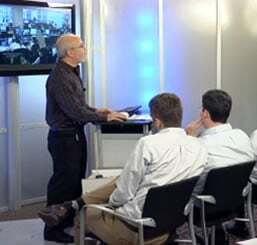 In addition, we also boast a video archive of more than 100 in-depth options trading Webinars. Whether you are new to options trading, or have many years of experience, SMB's Options Tribe is an invaluable resource for your options trading career and we look forward to working closely with you. Four interactive live monthly meetings each month, held Tuesday nights at 5pm ET. To become a premium member today simply click the "annual membership" button below.